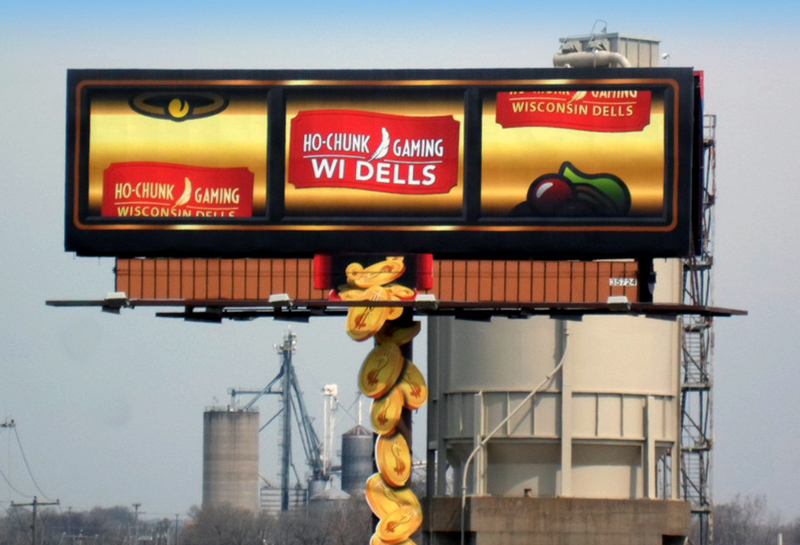 Ho Chunk Gaming in Wisconsin used a Lamar bulletin billboard to advertise their local casino. This campaign used 2D extensions to simulate a successful game of slots. The falling coins and creative were attention grabbing.